Why Are Companies In Such A Rush To Put Americans In Debt? I don't watch much television these days, but when I do I can't help but notice the increasing amount of payday and title loan commercials which seem to come on the tv screen every 15 minutes. If it isn't a commercial about a payday or title loan, its about financing for a car or computer. Why does it seem companies are in such a rush to put Americans in debt? I was at my local bank recently and posed a question to the teller. I asked her if she knew of a way for me to convert my money into gold or silver. She looked at me like I was speaking a alien language and told me she had no idea. When I check my mail I seem to get flooded with offer after offer for credit cards from a variety of different companies. It is a fact that the average American owes eight thousand dollars in credit card debt. Add to this the fact that the government passed a law in October making it difficult for people to file bankruptcy in order to get out of financial trouble. Add to this the fact that earlier in 2005, banks begin making plans to double the amount of credit card monthly payments. Combine this with a weakening economy where the dollar is losing its value and American jobs are being sent overseas, and you have a recipe for financial disaster. Alan Greenspan predicts the housing market bubble will "burst." When you owe someone money, and cannot easily pay it off, you are a slave to your debt. Yet most Americans are completely in the dark. Spending was at a all time high this holiday season, with Americans spending record amounts on their credit cards. Credit card companes like Discover and others were in a rush to give people cards so that they could do their holiday shopping. But just because someone gives something to you doesn't make them benevolent. Americans are sheep getting fattened up for the slaughterhouse. The economy is going down the drain, and only the most alert and cautious are aware of it. It is easy to see that we could have another 1939 Great Depression here in the US all over again. And like the first Great Depression, this depression will be orchestrated and planned by central bankers who have gained control of the money system in the US, and thus the economy. 1. Pay off all your credit cards and debt as soon as possible. 2. Avoid getting large mortgages which you do not have the ability to easily pay off. If you want a house, look into getting a foreclosed home. 3.Save your money and begin buying gold and silver. Lots of gold and silver. 4.Avoid payday loans, title loans, and any other loans which will put you into debt. 5.Reduce your standard of living. 6.Avoid paying retail value for cars, clothes, jewelry, electronics, and other items which rapidly depreciate in value. Only pay wholesale. 7. Save as much money as possible. Avoid living "paycheck to paycheck" at all costs. 8.If possible, consider starting your own business. People tend to do better when they work for themselves. That is my financial advice for the future. I'm going to take my own advice and I hope you do to. We can drop the glittering ball amid the crush in Times Square. We can count the final seconds in the crush-free solitude of our TV parlors. We can wear silly party hats, blow silly noisemakers, kiss significants or strangers, inadvertently miss midnight by falling asleep in our Lazy Boys, or advertently miss it by banishing ourselves early to bed in the grandiloquent philosophy of, like, whatever. We can ring out 2005 and ring in 2006. But we can't seem to rid ourselves of 1984. Big Brotherism is back in the news. The specter of it surfaced in the last days of the old year and now it's slopping over into the new. It is as though we have all fallen into an Orwell and can't get out. The Big Brother in question here is the super-secret National Security Agency, America's global stethoscope. Super-secret, that is, until Dec.16, when The New York Times reported that since shortly after 9/11, President Bush has allowed the NSA to electronically eavesdrop on conversations involving individuals inside the United States _ without getting a warrant from a judge in a secret court created three decades ago for just that purpose. Yes, it revealed some security info about surveillance. But what made this a story that had to be reported was that a president was deliberately ignoring the law. So the Times reported and now the American people can decide. But faster than you could say "George Orwell, report to rewrite!" the scoop ignited firestorms of criticism and explanation. Distortion became the weapon of choice for Bush bashers and Bush defenders (including Himself). Soon Americans were eavesdropping on a loud debate about a now-unrecognizable reality. Our job today is to clean up the Old Year's mess by making clear what is really happening and what is not; what is unlawful and what is not; and _ mainly _ what is needed to keep Americans safe in the global terror age and what is not. The controversy began with a national security need that is undeniably urgent. Shortly after al Qaeda's terrorist attacks on U.S. soil, computers and cell phones seized in raids on al Qaeda suspects overseas revealed contacts with people in the United States. The President: Quite appropriately, President Bush sought to immediately begin eavesdropping on those al Qaeda-connected people. The Foreign Intelligence Surveillance Act permits him to do so instantaneously _ for 48 hours while he seeks a warrant from a secret court that since the 1970s granted more than 18,000 and denied just four. But Bush ignored the law, ordering the continued surveillance in a way that, by any definition, is unwarranted. The Critics: Republicans as well as Democrats criticized the president's disregard of the law. But many Democrats labeled it a sweeping program to spy on Americans _ that goes too far. It is spying on people in America who, evidence shows, were in contact with suspected terrorists _ and must be monitored. On Dec. 21, a page-one New York Times report headlined "Spying Program Snared U.S. Calls," fanned the flames while covering the fire by reporting some NSA intercepts were "purely domestic communications." Example: a foreign-based cell phone thought to be overseas was actually in America and called another U.S.-based person. Technically it was domestic and should have been an FBI snoop under existing rules. Rethink and Reform: The globalization of economics, communications and terrorism, demands that we rethink old rules requiring the NSA to conduct only foreign snooping and the FBI only domestic. (As if the FBI never violated individual's rights!) Consider this: An al Qaeda operative in Pakistan e-mails someone in New York, who instantly forwards it to someone in Chicago. Requiring a bureaucratic handoff in mid-snoop invites a catastrophic snafu (recall the FBI's pre-9/11 bungling). Our protection comes only from requiring a secret court judge's warrant to eavesdrop. And, of course, our unshakeable trust that our leader will not lie to us. A Guarantee President Bush Cannot Ignore: Our final word comes not from a mere pundit but from an informed source familiar with Bush's thinking: "... any time you hear the United States government talking about wiretap, it requires _ a wiretap requires a court order. Nothing has changed, by the way. When we're talking about chasing down terrorists, we're talking about getting a court order before we do so. It's important for our fellow citizens to understand, when you think Patriot Act, constitutional guarantees are in place when it comes to doing what is necessary to protect our homeland, because we value the Constitution." The source: Bush, speaking in Buffalo, on April 20, 2004 _ more than two years after he had begun ordering wiretaps without a court order. Scientists at a Georgia laboratory have developed what could be a low-tech, low-cost weapon in the war on terrorism: trained wasps. The tiny, non-stinging wasps can check for hidden explosives at airports and monitor for toxins in subway tunnels. "You can rear them by the thousands, and you can train them within a matter of minutes," says Joe Lewis, a U.S. Agriculture Department entomologist. "This is just the very tip of the iceberg of a very new resource." Lewis and others at the University of Georgia-Tifton Campus developed a handheld "Wasp Hound" to contain the wasps while they sniff out chemicals and other substances. Lewis and his partner, University of Georgia biological engineer Glen Rains, say their device is ready for pilot tests and could be available for commercial use in five to 10 years. Rains says the wasps could one day be used instead of dogs to check for explosives in cargo containers coming in to the nation's seaports, in vehicles crossing at border checkpoints, at airports and anywhere else where security should be tight. "It's real easy to learn how to work with them," he says about the wasps. "You could show somebody what to do in 30 to 40 minutes. And they're very specific in what they learn." This new method comes as the government has spent hundreds of millions of dollars on high-tech equipment and training since 9/11 to secure the nation from another terrorist attack. Bomb-sniffing dogs cost thousands of dollars and take months to train. High-tech equipment can cost hundreds of thousands of dollars per unit and often has spotty performance. "We don't have portable, flexible systems," Lewis says. Scientists started working with the species, a type of parasitic wasp called Microplitis croceipes, decades ago — long before the terrorist attacks in 2001. In the 1990s, the Defense Department paid for part of that work to find out whether wasps could be used for a variety of defense purposes, including sniffing out land mines. They couldn't do that well because the areas they would have to check are too vast. The scientists — funded by the Agriculture Department and the University of Georgia — have looked at other uses for the wasps. Rains says the wasps can be trained to detect fungal diseases on crops while the damage is still below ground and can't be seen. This method would help farmers avoid having to spread toxic fungicide over an entire crop after the disease spreads. Rains says farmers would save money, and consumers and the environment would benefit as well. The wasps may also be trained for medical uses, including detecting cancer or ulcers by smelling someone's breath. They probably can be trained like dogs to find bodies buried in rubble, Rains says. Given the strong government effort since 9/11 to focus on the nation's security, the scientists see a vast market for the wasps to detect explosives. The wasps are trained with sugar water by using the classical conditioning techniques made famous by Pavlov's dogs. Rains says the wasps are sensitive to a host of chemical odors, including 2,4-DNT, a volatile compound used in dynamite. To do their work, five wasps — each a half-inch long — are placed in a plastic cylinder that is 15 inches tall. This "Wasp Hound," which costs roughly $100 per unit, has a vent in one end and a camera that connects to a laptop computer. When the wasps pick up an odor they've been trained to detect they gather by the vent — a response that can be measured by the computer or actually seen by observers. Lewis says the wasps, when exposed to some chemicals, "can detect as low as four parts per billion, which is an incredibly small amount." He says the "ability to capture nature and its marvels is ... revolutionary." Rains says, "The sensitivity of animals (and insects) to chemicals in general is probably beyond what we can comprehend. We don't really know what the limits are." President Bush is contending that a government leak about Osama Bin Laden using his satellite phone in 1998 resulted in the Al Qaeda leader avoiding the phone or "going dark," to use an National Security Agency (NSA) term. That, Bush maintains, resulted in an intelligence failure. Once again, Bush is just plain lying (along with being misinformed). It was no secret that Bin Laden stopped using his satellite phone in 1996 after Chechen President Dzhokar Dudayev was killed by a Russian air-to-ground missile as he was talking on his satellite phone. In that case, Dudayev erred by keeping his conversation longer than two minutes, ample time for a joint Russian-US operation to pinpoint his location using an overhead U.S. communications intelligence satellite. The editor reported and spoke in detail on that operation in 1996 ("DID NSA HELP RUSSIA TARGET DUDAYEV?" by Wayne Madsen, Covert Action Quarterly, Summer 1997. "Jardo Muekalia, who headed UNITA's Washington office until it was forced to close in 1997, says that that the military forces that ultimately succeeded in assassinating [Jonas] Savimbi were supported by commercial satellite imagery and other intelligence support provided by Houston-based Brown & Root, Cheney's old outfit. Both the State Department and Pentagon vehemently deny any US government role in the killing of Savimbi. But the US frequently uses such intelligence wizardry to help track down troublesome leaders. In 1996, according to US and British intelligence sources, the NSA may have passed on location data to the Russians on the location of Chechen President Dzhokar Dudayev (he was struck by an air-to-surface missile while talking on his satellite phone). In 1999, the New York Times reported that Turkey captured Kurdish Workers' Party leader Abdallah Ocalan after his cell phone location data was tracked by U.S., British, and Israeli intelligence agents." "Chechen leader Dzokhar Dudayev knew he needed to limit the time he spent using the satellite phone given to him by his Islamic allies in Turkey. It was the spring of 1996, and the survivor of two Russian assassination attempts was wary of Russia's ability to home in on his communication signal - and his location. But on the evening of April 21, Dudayev, baited by Russian President Boris Yeltsin's offer of peace talks, called an adviser in Moscow to discuss the impending negotiations. This time, Dudayev stayed on the phone too long. American spy satellites, trained on Iraq and Kuwait, were quickly turned north to the Caucasus mountains and Chechnya, according to a former communications specialist with the U.S. National Security Agency (NSA). The satellites pinpointed the Chechen leader's location to within meters of his satellite phone signal, and the coordinates were sent to a Russian Sukhoi Su-25 fighter jet. Dudayev was killed by two laser-guided air-to-surface missiles while still holding the phone that gave him away. This deadly lesson, which the U.S. has never officially confirmed, was not lost on Osama bin Laden, a purported Chechen ally who fed money and weapons to their fight against the Russians. That lesson was complete when bin Laden subsequently received word that U.S. spy satellites, perhaps the very same that located Dudayev, had eavesdropped on his own satellite phone conversations. And members of the NSA played the tapes for visitors. Today bin Laden is believed to school his soldiers in high-tech tools of communication. E-mail, online dead drops, satellite phones, cell phones, encryption and digital camouflage called stenography (see story, next page) are all tools of Al Qaeda, bin Laden's terrorist network. Those high-tech tools enable members of Al Qaeda to communicate with terrorist cells (or groups) hidden around the world. But bin Laden himself uses none of it. Instead, he has fallen back on ancient methods of communication, denying the U.S. and its allies the chance to track electronic footprints, satellite signals or even the radiation emissions from cellular phones. A grid of trusted human couriers, foot soldiers melding in with civilians, crisscross Afghanistan and flow into neighboring countries carrying written and whispered messages that are then electronically shot around the world." Bush is actually trying to stop the flood of leaks from NSA and other intelligence agencies by disgruntled analysts and other professionals by making noise about "leaks." Its a desperate move on Bush's part. It was Bush who alienated the US Intelligence Community and now Bush will pay the political price for his arrogance and demoralization of the "INT" agencies: Sigint, Humint, Imint, and Elint. Bin Laden ceased using his sat phone in 1996 after Dudayev's sat phone frequency and location was homed in on by a Russian missile. The Importance of Keeping US Borders Closed. There is a war going on right now in the US and most Americans are not even aware of it. This is a war that has taken the lives of some 800 people in the last year and the television news stations have hardly mentioned it. Nuevo Laredo, a city in northern Mexico which borders the Texas town of Laredo, is the source of many of these crimes. Mexican special forces highered by cartels are heavily armed with RPGs and AK47s, and have killed police officers and innocent bystanders, many of whom are Americans. This problem and many others could be easily solved if the US government enacted stronger immigration policies and built fortified borders. Illegal immigration is a problem frequently discussed in political circles here in the US, but in actuality little is done to stop the problem. In fact, the problem seems to be encouraged and amplified dispite rhetoric to the contrary. In this blog entry I want to discuss illegal immigration and why it hurts the US and its citizens in the long run, as well as the immigrants. When you talk about immigration issues, many immigrants who live in this country or their relatives accuse you of racism. Race has nothing to do with it, even though that is what the globalists want you to think. The future of the United States is in jeopardy. The goal of the globalists is to turn the US into a third world country. The average American cannot compete with someone from India, China, or Mexico. The job wages will plunge, fattening the pockets of large transnational corporations while plunging both Americans and immigrants into poverty. Then we are expected to fight with each other over jobs, giving the government an excuse to crackdown on us and further the agenda of turning the US into a police state. It is up to us to fight back against these evil forces which wish to enslave us. There are many dangers to increased illegal immigration. Wide open borders allow the possibility of a terrorist sneaking a biological or nuclear weapon clandestinely into the US. Certain diseases that aren't common in the United States have seen a dramatic increase in the last few years. But the most dangrous problem of illegal immigration is economic in nature. Once illegal immigrants are allowed to get low paying jobs in the US, they are then tricked into getting credit cards, car loans, and large mortgages. Americans who on average already have a lot of debt run the risk of losing their jobs and being forced to compete with these immigrants. What happens in this situation is obvious. The illegal immigrants are put in a position of perpetual slavery for the rest of their lives by struggling with low paying jobs to pay off enormous debts. Americans lose their jobs or are forced to compete and also become perpetual slaves, working their entire lives to pay off their ever increasing debt. The perpetuators of this crime have a clear objective. Despite their rhetoric, they want nothing better than to destroy the US, and the best way to do this is economically. They wish to turn this from first world to third world, and we are the only ones who can stop them. 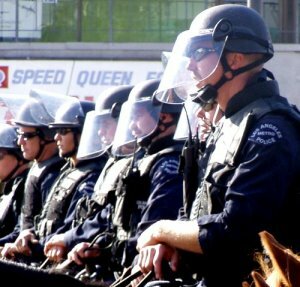 From all the indications we have studied it seems that the Patriot Act is intentionally destined to fail so that when the Globalists carry out a terror attack they can blame 'civil liberties advocates' for preventing them from keeping the general public safe and then reject out of hand criticism of all future police state legislation that they pass. Neo-Cons who have received their uniform talking points memo are all over the radio bragging, 'you just wait until there's another attack, you'll be in the forced labor camps'. We have heard this from Michael Savage and many others of his ilk on numerous occasions. Why do they need the Patriot Act to fail? Because if the Globalists carry out another terror attack right now, people will be inclined to say that the existing Patriot Act powers were in the hands of the government and they failed to protect us, thus discrediting the police state legislation. This was the tone of a memo circulating amongst Republican elite last month which voiced concern about how another terror attack would play out. The authors of the memo feared that people's loss of faith in their belief that the government could protect them would override group think reactions of begging the state to ensure their safety once again under any circumstances. If for a few months the government can bemoan the fact that they don't have Patriot Act powers to protect the American people, at that time it would be expedient for them to set off the suitcase nuke or release the biological. The New World Order agenda is almost complete but right at the end of the line they're encountering far more resistance than they ever bargained for, which is why they may have to opt for a more sophisticated shift in tactics rather than the simple formula of staged terror and fearmongering. The Senate is always more politically conniving than the House and the Globalists have a far firmer grip over it than they do the House, which is largely made up of a combination of people with misguided good intentions and those who are just selfishly interested in greasing up the power pole. We have to consider the timing of the leak that Bush authorized the NSA to spy on Americans. The limited nature of this so-called revelation is a story within itself. The NSA has been spying on Americans for decades and Echelon has had the capability to track every communication in real time for at least ten years. Newsmax admits that the Clinton administration used Echelon to spy on Americans but then performs mental gymnastics and double think by suggesting that this makes it OK for Republicans to spy on Americans too. No it doesn't! When Clinton did it, it was bad, when Bush does it, it's still bad! Best-selling books like those of James Bamford written in the 90's brought to light NSA declassified documents confirming the NSA were spying on millions of Americans by keyword logging methods. In stating that the NSA watches American citizens, the New York Times was by no means breaking an exclusive story. This was merely an attempt to spin what was already known and try to justify it by saying that Bush wanted to stop the terrorists. Consequently the NSA spying on Americans if it's 'to stop Al-Qaeda' is made palatable amongst ordinary Americans. Subsequently the routine daily use of such measures becomes the norm, because the New York Times 'exclusive' was a means of announcing the use of such measures, coming out in the open and legitimizing the whole program. The New York Times is selling the story to the American people by whitewashing it. Therefore the duality of the Patriot Act not being renewed and the NSA 'revelations' will become intertwined in the minds of the public. So when the next terror event takes place both can be trumpeted and those that questioned them and stood up for the 'God damned piece of paper' that is the Constitution will be castigated as the enemy. The Echelon spying network and its operational infrastructure has been publicly admitted for a long time. The five Echelon countries, The United States, Canada, Great Britain, Australia and New Zealand all work in tandem to spy on each other's citizens, with Echelon personnel loaned out to each different country. This enables them to bypass laws stating that a government cannot spy on its own citizens, which is why Bush, Rice, Gonzales and others have been able to spin it by saying that the spying is international and not domestic. The architecture of world government and the global surveillance grid is already is place and has been for years. This whole process is simply a means of announcing its presence and slowly brow-beating Americans to accept it without dissent with revolving slick media disinformation campaigns and phony good cop bad cop false debates. At least one Arizona politician has the courage to speak up against the John McCain led sellout of the American middle class and the giveaway of America's Sovereignty. It gives me no pleasure to send this letter, but with each passing day since your July 28 vote for the Central American Free Trade Agreement, my sadness for America increases. And you, Congressmen, who swore to defend the Constitution of the United States against all enemies, foreign and domestic, betrayed your country in the disgraceful post-midnight, vote-buying debacle that delivered the CAFTA. In fact CAFTA and NAFTA, as well as the upcoming FTAA, will ultimately make corporations and politicians richer and more powerful, trivialize U.S. citizenship, oppress taxpayers, and make the Constitution and U.S. sovereignty irrelevant. It’s not as if you didn’t know what the passage of CAFTA would mean for the U.S. The agreement has been widely touted as an extension of NAFTA and we all know what that has brought: drugs, gangs, disease, and a never-ending invasion of illegal job seekers and dependents, not to mention record trade deficits. NAFTA has sucked up more than a million U.S. jobs even as trade deficits with Mexico and Canada have ballooned to a whopping $111 billion. The ink on the accord was barely dry when Mexico declared bankruptcy and sank into its worst depression in 60 years. The U.S. taxpayers then underwrote a mega-billion dollar bailout! Turning a flood of illegal border-crossers into a tsunami that shows no sign of abating, NAFTA has overwhelmed our Arizona law enforcement, job markets, schools and hospitals. Dependent on U.S. dollar remittances from Mexicans residing in the U.S., the NAFTA emboldened Mexican government not only encourages illegal border-crossers, it helps them get here and, once here, insists that U.S. policies favor them. Congressmen — as you well know, Mexico is little more than a narco-state, responsible for 92 percent of the cocaine sold in the U.S. in 2004. Law enforcement officers on both sides of the border are increasingly attacked by paramilitary units, aka “Zetas”, escorting drug shipments into the U.S. and reportedly offering a $50,000 bounty on Border Patrol agents and police officers. In Nuevo Laredo, the busiest border entry, the U.S. ambassador announced — two days after your vote for the border-opening CAFTA — that he was closing the consulate for security reasons. CAFTA will exacerbate the problems produced by NAFTA and extend its failures to the poverty-laden counties of Central America and the Dominican Republic. But you know all this Congressmen, just as you know that modern trade agreements are less about trade than about redistributing people, power, and wealth. CAFTA is not a free trade agreement! It further erodes our Constitutional protections, permitting the override of the law of the land by external trade committees, (appointed — not elected), virtually eliminating our borders, and permitting the free flow of “immigrants” (formally called illegals) from Central American countries. It will further increase the already excessive regulation of business and people by the government as well as the flow of our industrial base and jobs out of the U.S. Still you voted for CAFTA, and it was approved by a paltry two votes. Many of your colleagues were bought off or blackmailed. Some simply decide to cast their lot with the corporate elite and the international socialists intent on destroying American sovereignty. What is your reason for voting “yes”? It is the height of arrogance for those who voted for this mess to think they have a mandate to rewrite the Constitution or do harm to this nation that Americans have fought and died for nearly 2 centuries. The reality is looking more and more like we are currently stuck with two parties in a race to take this nation apart. It will be difficult, at best, to ever believe you are really against illegal immigration, or that you believe in a truly free market, or that you stand for a strong, independent America. Your CAFTA vote tells us everything we need to know about you. The fallout from the shooting of a mentally distraught Rigoberto Alpizar by federal air marshals in Miami last week continues. An analysis by libertarian author James Bovard in Editor & Publisher concludes that neither the official government explanation (Alpizar made a "bomb threat"), nor the mainstream media's uncritical acceptance of such claims, has done much to improve public trust for either institution. He first cites allegations by Dave Adams, a spokesman for the Federal Air Marshal Service, that Alpizar had shouted "I have a bomb in my bag" while running up and down the aisle of the plane as it sat on the runway, and notes that "the vast majority of the media" have simply repeated this contention without further examination. Yet within a day of the incident there were already counterclaims being aired from the actual passengers on that plane, that no such shouts occurred, and that, in fact, "Alpizar was silent as he ran past them on his way to the exit." Bovard finds it significant that the original story "did not even survive two daily news cycles." Only a day later, he says, "the conservative press rushed to exonerate." He cites both Investors Business Daily and the Washington Times as deriding "second-guessing" and glossing over the issue with praise for the "bravery" of the air marshals. Even the allegedly liberal press outlets "raced to take the government's word," from the Washington Post to the Boston Herald, although, as Bovard notes, "The Herald did see one risk from the killing: 'Members of Congress ought not use the excuse of the Miami incident to stick their noses into a layer of security that is clearly the most effective defense we have against future hijackings.' 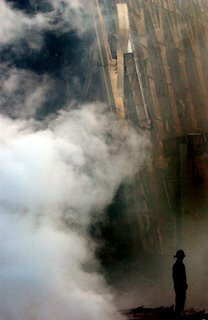 But oversight has been an unnatural act for members of Congress since at least 9/11, so the Herald has little to fear." Further pro-marshal coverage, Bovard notes, came from Louisville, Memphis, Pittsburgh and Oklahoma City, among other places, while even "the Brahmins at PBS NewsHour" proclaimed, in an online article on Dec. 12, that "No serious questions have been raised about the actions of the air marshals who killed the passenger last week." Bovard finds this quite telling: "Apparently, it is not serious if federal officials apparently make false claims in a case in which an American citizen is killed," he declares. He concludes the analysis with the hope that "jurisdictional conflicts between the Federal Air Marshal Service and the FBI or Miami police" might yet result in some truth emerging, but noted sadly that "If the media continue acting like the cop on South Park - 'Nothing to see here, folks, just move along!' the odds of any such revelation go from slim to none." Flight recorders (commonly known as black boxes, though these days they are generally bright orange) are required on all passenger planes. There are always two-a flight data recorder that keeps track of a plane's speed, altitude, course and maneuvers, and a cockpit voice recorder which keeps a continuous record of the last 30 minutes of conversation inside a plane's cockpit. These devices are constructed to be extremely durable, and are installed in a plane's tail section, where they are least likely suffer damaged on impact. They are designed to withstand up to 30 minutes of 1800-degree heat (more than they would have faced in the twin towers crashes), and to survive a crash at full speed into the ground. There has always been some skepticism about this assertion, particularly as two N.Y. City firefighters, Mike Bellone and Nicholas De Masi, claimed in 2004 that they had found three of the four boxes, and that Federal agents took them and told the two men not to mention having found them. (The FBI denies the whole story.) Moreover, these devices are almost always located after crashes, even if not in useable condition (and the cleanup of the World Trade Center was meticulous, with even tiny bone fragments and bits of human tissue being discovered so that almost all the victims were ultimately identified). As Ted Lopatkiewicz, director of public affairs at the National Transportation Safety Agency which has the job of analyzing the boxes' data, says, "It's very unusual not to find a recorder after a crash, although it's also very unusual to have jets flying into buildings." "Off the record, we had the boxes," the source says. "You'd have to get the official word from the FBI as to where they are, but we worked on them here." The official word from the NTSB is that the WTC crash site black boxes never turned up. "No recorders were recovered from the World Trade Center," says the NTSB's Lopatkiewicz. "At least none were delivered to us by the FBI." He adds that the agency has "always had a good relationship' with the FBI and that in all prior crime-related crashes or flight incidents, they have brought the boxes to the NTSB for analysis. For its part, the FBI is still denying everything, though with curious bit of linguistic wiggle room. "To the best of my knowledge, the flight recording devices from the World Trade Center crashes were never recovered. At least we never had them," says FBI spokesman Stephen Kodak. Why would the main intelligence and law enforcement arm of the U.S. government want to hide from the public not just the available information about the two hijacked flights that provided the motivation and justification for the nation's "War on Terror" and for its two wars against Afghanistan and Iraq, but even the fact that it has the devices which could contain that information? Conspiracy theories abound, with some claiming the planes were actually pilotless military aircraft, or that they had little or nothing to do with the building collapses. The easiest way to quash such rumors and such fevered thinking would be openness. Why The Global Energy Crisis is a Scam. In the last few years, people have been bombarded with news about the global "energy crisis" which has been followed by increasing amounts in gas and electricity. Those who do not have a good understanding of physics or science falsely believe these lies. In this article, I intend to explain why the "global energy crisis" is a big scam perpetuated by big corporations who wish to bend the laws of supply and demand for their own financial gain. But first a bit of science. What exactly is energy? Energy is defined in the dictionary as the "capacity to do work." Energy and matter both make up the foundation of the universe. Energy cannot be created or destroyed, but is merely transformed or transferred. Based on this definition, energy in the strictest sense of the word, is infinite. We have a sun sitting 150 million kilometers away which has enough energy to power this entire planet. Energy can be collected from water, from wind, from geothermal sources. To suggest we are in an "energy crisis" is ridiculous. Yet this is what the power companies would have us believe. And yet throughout history there have been many scientists and inventors who have invented devices and proposed theories that would allow our energy crisis to disappear. Yet their names have been removed from history books and their names forgotten. Men like T. Henry Moray, Nikola Tesla, and Viktor Shauberger are names the average American college student has never heard of. Yet these men discovered methods of cheaply harnessing abundant amounts of energy. At the end of World War 2 the US military conducted a top secret operation known as Project Paperclip. In this operation Nazi scientists were kidnapped and brought to the US illegally. Apparently German scientists made technological discoveries that were not considered by American scientists. Out of Project Paperclip came the B2 Stealth Bomber and the cruise missile. All cruise missles today including the Tomahawk are all based on the original German V1. But there were many other discoveries that German scientist made that have not been declassified. Even after sixty years, certain information obtained during Project Parperclip remains classified. Could it be that some of the discoveries made by German scientists would allow for abundant energy also? Only time will tell. The fact that the US government keeps this information secret shows the corruption of the military industrial complex which is destroying this country. Bush Authorized NSA To Spy On Americans: Further Evidence of A Country In Decline. The recent revelations made this past weekend that the Bush administration authorized spying on Americans by the NSA is just one more reason why the United States is in gradual decline. Our government is run by individuals who, while keeping their information secret from Americans, are in a rush to covertly spy on Americans. In other words, most Americans know nothing about their government. But our government knows everything about us. This sets the stage for tyranny and fascism. The revelations made this weekend should frighten all Americans who value freedom and basic human rights. If you are not concerned, you do not understand the severity of the situation. Anyone with a rudimentary understanding of the US Constitution understands that this is a violation of the fourth amendment, which restricts Americans from being subjected to unjust searches and seizures. This includes covert spying on us by our govenment. The news this weekend is really nothing new. Skillful investigative journalists have known for years that the government was spying on Americans. 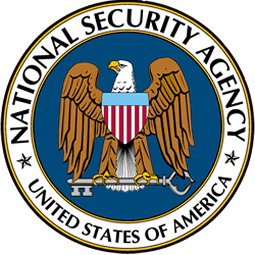 Cell phones, email, and all other forms of communications are easily watched by the National Security Agency. The thing about this whole situation that angers me is that when the government finally comes out and admits what they're doing, they put a big spin on it and say that it was used to "protect the freedoms of Americans" and to "prevent terrorist attacks." This is a classic example of giving up freedoms for security. It doesn't work and never has. Americans will simply find more of their freedoms disappearing. We have a government who has lots of information that is classified and is restricted access but yet, they are allowed to get whatever information they want on us. Attorney General Alberto Gonzalez says that "war powers give Bush the right to allow domestic spying." This is ridiculous. Now they are using the war as an excuse to spy one us. Americans better wake up and realize our government has been hijacked by maniacs, and the ultimate objective is to destroy this country in order to bring in world government. Xbox 360: Why you should avoid buying it at retail value. In late November, Microsoft released its second generation console known as Xbox 360. The video game system retails for around $599.00 and received record pre-orders prior to its release. Many people were brainwashed into running out and buying the console, and some even stood in long lines, getting into fights when the stores ran out. We here at the Conspiracy Zone believe you should avoid buying the system at all costs, at the very most purchasing it at wholesale value. Why? Because Microsoft is a global multinational corporation who had the Xbox 360s cheaply manufactured in a country that is undemocratic and who has antagonistic feelings toward the US. The name of that country is China. China has the worst record of human rights abuses known to the world, and it was recently in the mainstream news that the country sells the organs of executed prisoners to western countries. The Chinese government also has full control over the internet, not allowing any websites(like this) to be built which criticizes their government. Yet despite this, Microsoft gladly runs overseas to have their video game console cheaply manufactured in this country and then sold to Americans for outrageous prices. This is a slap in the face to Americans who value liberty and freedom. Yet most Americans have no idea that the new Xbox console was even manufactured in China. But that shouldn't surprise anyone. Most products in American stores today or not made in America. The products are often manufactured in countries that hate everything America stands for. This begs the question of why anyone would run out and stand in a long line for 4 hours like a slave in order to buy a product like this from Microsoft. The answer is because people are brainwashed. Any intelligent person knows that the graphics on Xbox 360 are not revolutionary compared to its predecessor. The graphics are still 3D, more enhanced 3D, but still 3D. The difference between Xbox and Xbox 360 is not the same as Xbox and the Super Nintendo. Therefore a $599.00 price tage is ridiculous. What is even more revealing is how the system has suddenly become "rare" and "hard to find". People are selling Xbox 360s on Ebay for thousands of dollars, and people are paying it because the stores don't have them. Do you think this is an accident? In economics it is called supply and demand, artificial scarcity. Microsoft has plenty of Xbox 360 consoles, but there is more money to be made by reducing supply and increasing demand. Now it is on the mainstream news that Xbox 360 consoles have overheating problems and freeze during gameplay. A man in Chicago has filed a class action lawsuit against the software company. It doesn't surprise me the console is poorly designed. It was manufactured in a country that has poor human rights values. It is in my firm opinion that Americans live in some of the most dangerous times our country has ever seen. The evidence is overwhelming that the land of the free and home of the brave is slowly becoming the land of the not so free or brave. As 2005 comes to a close, and many people at home enjoy the holidays, I'm taking the time to reflect over the many events that have happened this year. 2005 has been an interesting year, to say the least. Back in June, a law was passed called Eminent Domain which allows private real estate developers to force people off their land if they choose to build a casino or resort hotel. This is totally against the Constitution of the United States, which says that private property may be taken from citizens ONLY IF it is for developement for public use. Congress also recently passed a law making it difficult for Americans to file bankruptcy in order to get out of debt. You would think this would raise eyebrows, but instead statistics show that Americans are spending record amounts this holiday season, putting themselves into debt that will take most of next year to pay off. Along with this the city of San Francisco passed a handgun ban of all firearms for citizens in the city limits who are not military or police officers. Add to this the record layoffs reported by many US companies this year and the increasing cost of gasoline and education, along with CAFTA being passed. Any intelligent person who takes all these puzzle pieces and puts them together gets a terrifying picture. A picture of a republic in decline. Everyday the freedoms which many Americans take for granted are slowly but surely being eroded. The sad thing is many don't even notice it. Americans go on shopping and engaging in everyday affairs not realizing the poison that is slowly killing them. When you talk about conspiracy, people tell you you're a kook. But this is all part of psychological conditioning by those who rule our society. I challenge people to become informed and find out what is really happening to our world. I tell you, it is a lot different than what your nightly news show is telling you. And what you will discover is that things are ten times worse than you could ever imagine. It has been said that fact is stranger than fiction, and whoever said that is right. The stuff that really goes on in our world is stranger than any movie your could ever see, book you could ever read, or game you could ever play.